If you haven’t made these yet, please be warned: do not taste them before you glaze them. You won’t have any left to glaze! 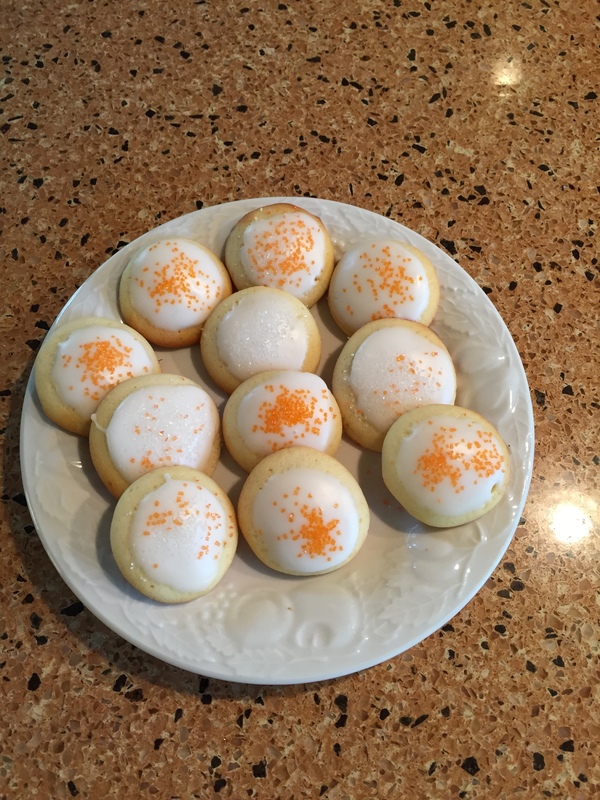 These puffy little cookies really are more like little cakes – and yes, I did eat about half of them before they were cool enough to glaze. I’ll be making more, to be sure! I think my next batch will be made a tad bit larger – my scoop made for cookies just about the size of a Nilla Vanilla Wafer – and while that was fine, it’s far too easy to eat a dozen of them using the excuse, “Oh, well, they’re really small!” The smaller size also did cause me to adjust the baking time down to between 5 and 7 minutes rather than the 7 to 9.
Who knew a burly, 6-foot-4-inch, 225 lb. fitness trainer would know what these are? Well, I did it again. I decided I’d ‘workshop’ these cookies. And, it’s a good thing! My initial attempt at these made me learn that baking them at 400 degrees at ten minutes was at least two minutes too long. Attempt two (in a different oven) reinforced that 400 degrees was too hot (even at eight minutes they came out black!). So, it was time to consult the oracle: Google. I found a you-tube video that explained making madeleines perfectly! And, according to the chef in the video, the batter isn’t necessarily as fragile as our recipe made it out to be. 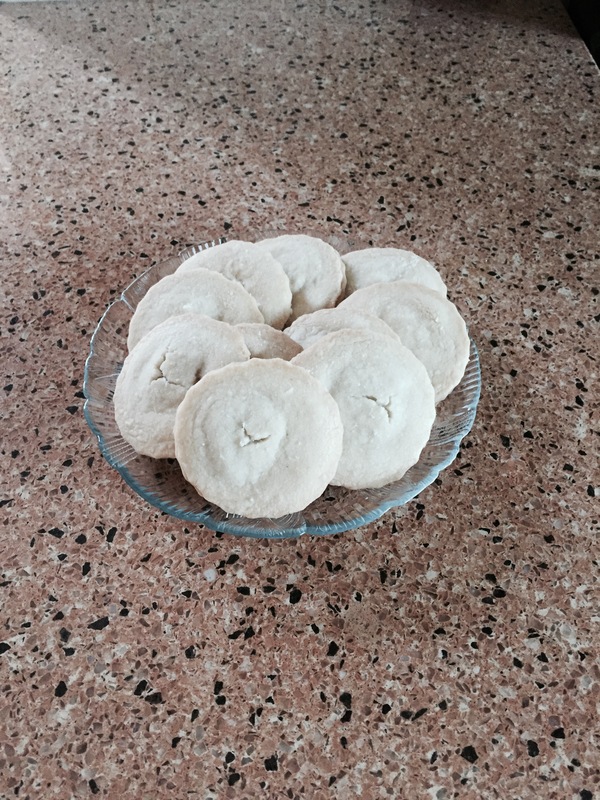 His recipe was baked at 350 degrees for 10 – 12 minutes. Rather than piping the batter into the pans, he scooped it, using a #40 ice cream scoop. 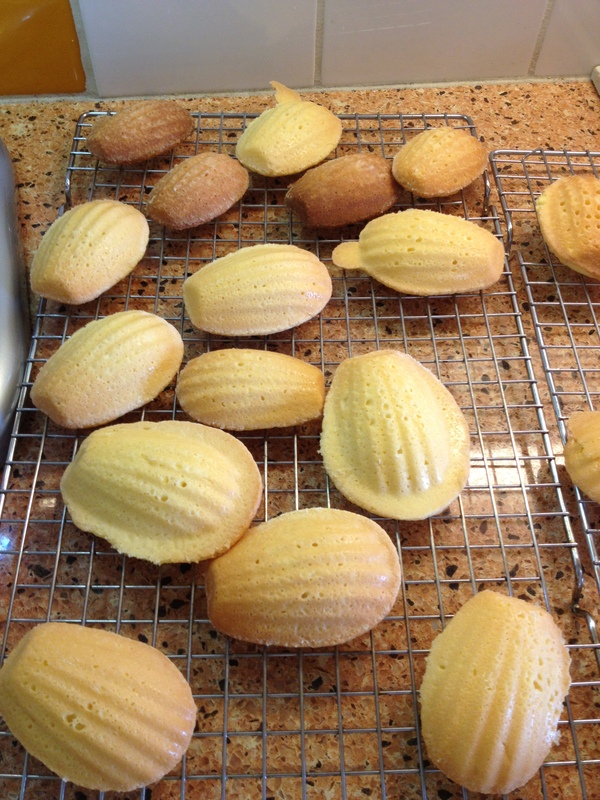 Oh, and the chef in the video said for more ‘fluffy’ madeleines, use more butter (up to 1/2 cup) but that the madeleines made famous by Marcel Proust were dryer using less butter (better for dunking in tea). I’m thinking these are the ones we made. Armed with this information, I decided to back off on the temperature (375 degrees), used an ice cream scoop and watched them like a hawk for 8-1/2 minutes! Perfectly done! And, when sampled by my fitness trainer, he deemed them exactly right. And now that I have this information, I will absolutely make them again.